Yesterday I had a lot of things I should have been doing during naptime. And instead of doing any of them I turned an entire skein of yarn into this. And it was kind of addicting. I see more pom poms in my near future. Like today. Right now. ooo! 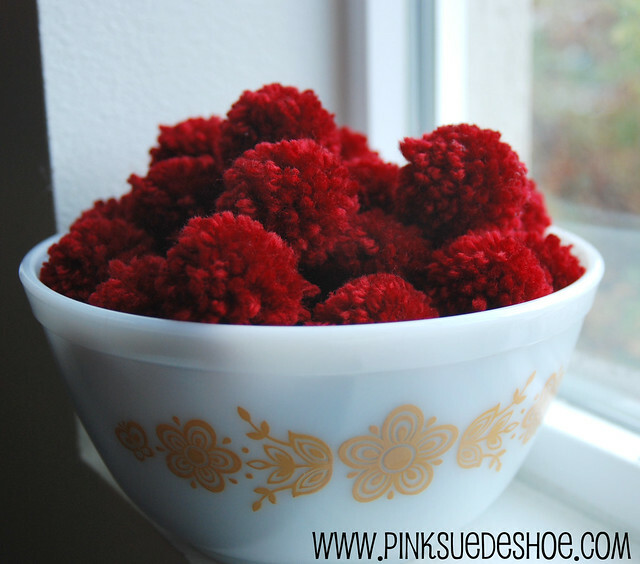 Are you going to make a pompom garland for Christmas? These are way cute! Are they easy to make? Would be a great accent decoration idea for lots of things.